Irene Pelican, 98, of Grand Island, formerly of Palmer died Monday, November 12, 2018 at Tiffany Square in Grand Island. 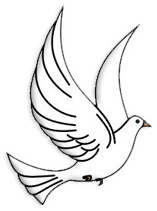 Memorial services will be held at 11:00 a.m., Thursday at the United Methodist Church in Palmer. Reverend Mike Anderson will officiate. Inurnment will be in Rose Hill Cemetery in Palmer. A time to greet the family will be on Thursday, from 10:00 a.m. until service time. Memorials are suggested to Rose Hill Cemetery in Palmer or the Palmer Fire Department. Greenway Funeral Home in Palmer is assisting the family. Irene Pelican was born August 4, 1920, the daughter of Glenn and Viola (Hanisch) Paulsen on a farm near Cushing, Nebraska, where she grew up and graduated from Cushing High School in 1938. After graduating from the St. Paul Business College in 1940, she worked at Hastings in the office of Western Land Roller, then moved to Grand Island and worked for Home Finance Co.
On August 15, 1942 she was united in marriage to Stanley Pelican at Champaign, Illinois. They moved to Walterboro, South Carolina where Stan was stationed, and she worked at a law office. When Stan was sent overseas, Irene returned to Nebraska and worked as a teletype operator at the Grand Island Ordnance Plant. After Stan’s discharge from the Army Air Corps in 1945, they worked in Denver for a year, then moved to the Pelican home place northeast of Palmer to farm with his father and brothers. While raising three children, she kept busy helping on the farm, canning, sewing, raising chickens, and enjoyed working in her flower and vegetable gardens. In 2002 they moved from the farm to Grand Island due to Stan’s health. He passed away April 11, 2008. They had been married 65 years. Irene remained in Grand Island, living independently until she was 98 years old. Irene enjoyed many card clubs, bingo, crossword puzzles, and spending time with family and friends. She and Stan bowled in Grand Island for 20 years, as well as in St. Paul and Fullerton. In 1973 they took a 3-week trip to Germany to visit their son who was stationed there in the service. In retirement, their travels included many Army reunions in various states, as well as other trips that took them to all of the states except Alaska, spending their 50th anniversary in Hawaii. They especially enjoyed attending polka dances in area towns, and activities of their grandchildren. 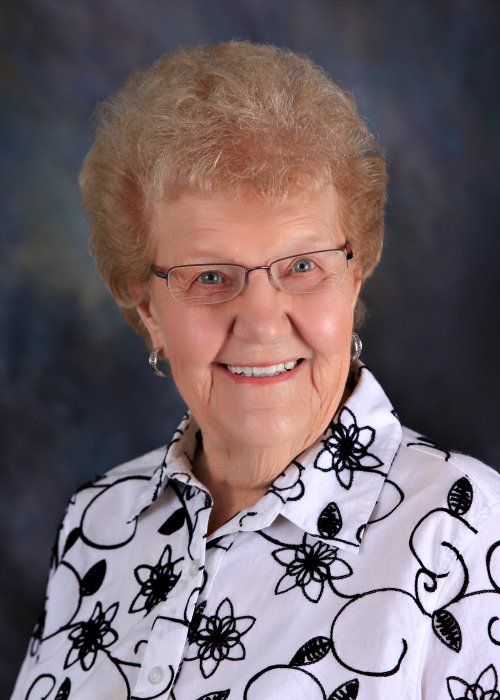 Irene was a member of Palmer United Methodist Church, American Legion Auxiliary in Palmer, and the Platt Duetsche Women’s Society in Grand Island. Survivors include her three children and their spouses, Linda (Virgil) Berney of Plattsmouth, Marlene (Robert) McCammon of Lincoln, and John (Shirley) Pelican of Palmer; seven grandchildren: Sheri (Ryan) Pfeil, Angie (Gregg) Owen, Scott (Samantha) McCammon, Chad (Sinead) McCammon, Stacy (Kirk) Hellwege, Adam (Heather) Pelican, and Sara Pelican; seven great-grandchildren: Erick and Anna Owen, Jack, Kate, Gabby and Bennett McCammon and Harley Hellwege; a sister-in-law, Ellen Paulsen of Grand Island; a cousin, Lyle Strom of Bellevue, and many nieces, nephews and friends. She was preceded in death by her husband, Stanley, her parents, her brothers Ray and Burt Paulsen, and her twin sister Irma Pitcher.